Supplied in a heavy duty water resistant travel pouch with buckle fastening and rucksack securing clip these large family first aid kits are perfect for the conscientious traveler, outdoor activities, camping, trekking, and cycling or for those who work outside. 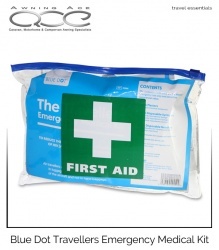 Manufactured by the world famous Wallace Cameron Group who have been supplying the needs of the first aid market for over 60 years, delivering quality products and services which have led to the achievement of 2 Royal Warrants and the ongoing ISO 9001:2008 and BRC accreditations. The large transparent front pouch window allows for easy viewing of the contents without opening the bag making it ideal during inclement weather. 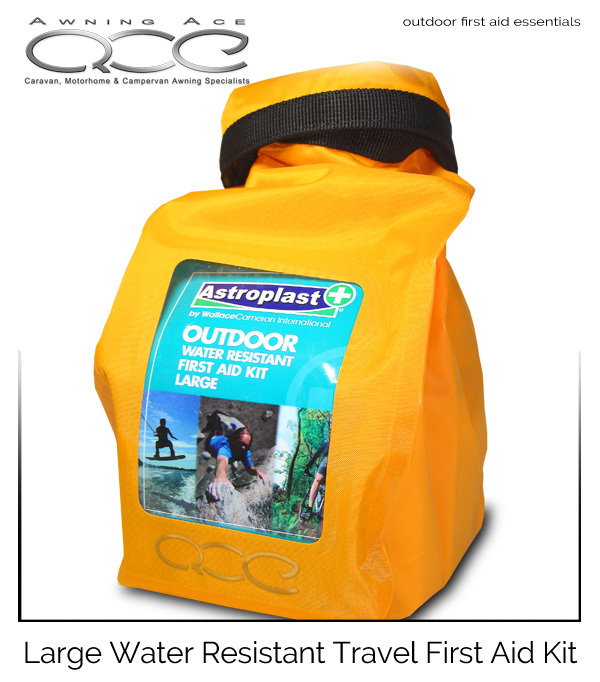 These first aid pouches can be secured to your hiking, backpack, camping or climbing kit using the strong plastic clip, so it is instantly at hand when you need it. 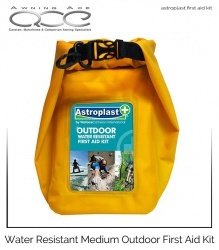 This first aid kit is perfect for music festivals, family camping trips, adventure holidays and outdoor sports and makes a superb Christmas stocking filler. All contained within a water-resistant bright orange pouch with secure buckle and strong baggage clip. 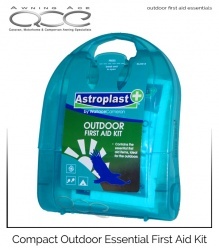 Perfect for the conscientious traveler these micro outdoor first aid kit are ideal kits for someone who enjoys outdoor activities, camping, trekking, and cycling or who work outside. Supplied in a heavy duty water resistant travel pouch with buckle fastening and rucksack securing clip these family first aid kits are perfect for the conscientious traveler, outdoor activities, camping, trekking, and cycling or for those who work outside. Supplied in a heavy duty water resistant travel pouch with buckle fastening and rucksack securing clip these first aid kits are perfect for the conscientious traveler, outdoor activities, camping, trekking, and cycling or for those who work outside. Travelers medical emergency kit contains items such as needles and syringes, silk suture needle and pre-injection swabs not normally found in basic first aid kits. Designed to assist during medical emergencies, these kits are recommended by experienced travel expert who advise that all travelers carry their own essential first aid kit. Furthermore, in certain countries, it is advisable to carry a sterile medical kit.